The read-replica every database deserves. Your production database is business-critical, so our connectors read off your logs, capturing every change without querying the live system. 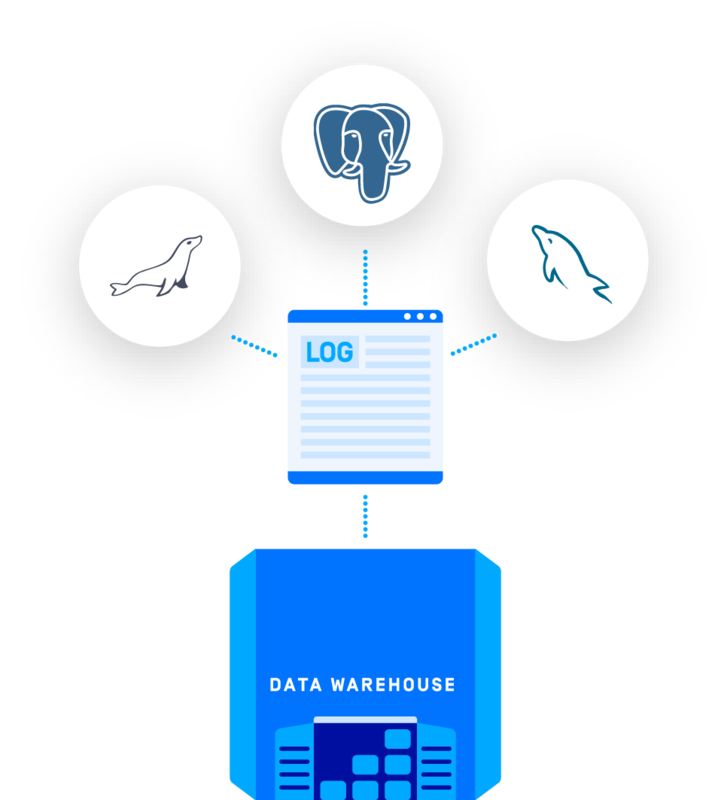 Using logs means we don’t compete with other database queries, minimizing load on your production systems. Streaming changes to your warehouse without competition is the closest you can get to real-time updates. No “last modified” updates — we read changes off your logs, so we capture hard deletes and tables without “last modified” fields. We replicate everything by default, but with a few clicks you can deselect any table. We’ll connect via master database or your read-replica. While you relax, we extract historical data from your database. It only takes a few hours, and we can use an SSH tunnel if necessary. We read from the logs to incrementally add new or changed tables. Fivetran handles typecasting automatically and replicates new tables as they’re created.